Elko, NV – August 11, 2016 – Lithium Corporation [OTCQB – LTUM] “the Company” is pleased to announce that it has signed an agreement with Tamarind Investments Inc., wherein Tamarind agrees to provide advice, and render assistance to the Company with respect to public relations, transaction structuring, and ongoing introductions to investors for the next year. Tamarind is based in Kowloon, Hong Kong and focuses primarily on the Pacific Rim countries. The terms of the agreement, provide for Tamarind to receive payment for their services in 3 tranches for a total of 1 million shares over the next six months. These shares are restricted with the restriction on the first tranche of 334,000 shares anticipated to be removed in early October. 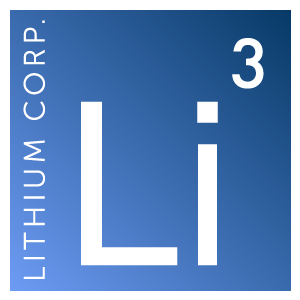 Lithium Corporation is an exploration company based in Nevada devoted to the exploration for energy storage related resources throughout North America, looking to capitalize on opportunities within the ever expanding next generation battery markets. The Company maintains a strategic alliance with Altura Mining, an ASX listed natural resource development company that is currently developing its 100% owned world-class Pilgangoora lithium pegmatite property in Western Australia.